My pet portrait links and artists friends featured on this page are people I would really recommend our visitors either popping over to their website for a happy peruse or even buying and commissioning art from them! The online pet portraits community use to be fairly small when I started up around 22 years ago and every pet portrait artist would know or have spoken to every pet portrait artist online. I used to run the only pet portraits forum where we would all gather to chat about our art and pet portraits, help each other along. As time and technology have progressed and social media has become more and more prevalent, along with the popularity and accessibility of being an artist and working from home, its now impossible to know every pet portrait artists on the web. We do know our fair share though and its wonderful to be able to be in contact with our friends all around the world in what can be a very lonely business working from home - hence having this page of pet portrait links. So this page is dedicated to our lovely friends who are in the business of commissioning paintings and art who we love, respect and admire and we hope that you enjoy perusing their websites. Nutty at Nuttyart.co.uk is my favourite person in the whole world. She is the most wonderful pastel artist and the most fantastic lady you could ever meet. Yes she is 'Nutty' hence her nickname and she lives in the south of the UK. Visit her website and view her pet portraits as they are simply wonderful. She also donates to dog rescue and has two lovely rescue dogs herself, Ludo and Nico. Chris Chalk at ChrisChalkArt.com is another of my fabulous buddies and partner in crime as he doesn't live too far away from me. I credit here his expertise and knowledge when I get stuck with my webdesign and we are good at bouncing ideas back and forth. He paints the most exquisite landscape paintings and has recently in 2016 been to visit Karen Neal - another wonderful friend of ours in New Zealand who's scratchboard work is amazing. Check Karen's site out here - Wild Impressions. Although I have never met Aron Gadd, I have spoken to him and known of him for over 22 years. He was already established when both Nick and I first started our pet portraits business and creates absolutely stunning coloured pencil artwork. If you are looking for a coloured pencil pet portrait - Arron is your guy. Visit his website Arongadd.co.uk and take a look at his beautiful artwork. Another great website to visit from my pet portraits friends list is that of Tracey Hall. Watercolour-artist.co.uk. Tracey specializes in watercolour and she paints incredible miniatures. They are simply amazing and jaw dropping. Say no more - you just have to visit her site to see them. Tracey is extremely talented and a very busy lady so if you are thinking about commissioning her, get emailing quick. A Canadian Artist who has a wonderful website is Gail MacGregor at petportraits.ca who specializes in photorealistic pet portraits. You can also see a clip of her on their regional TV in Canada! 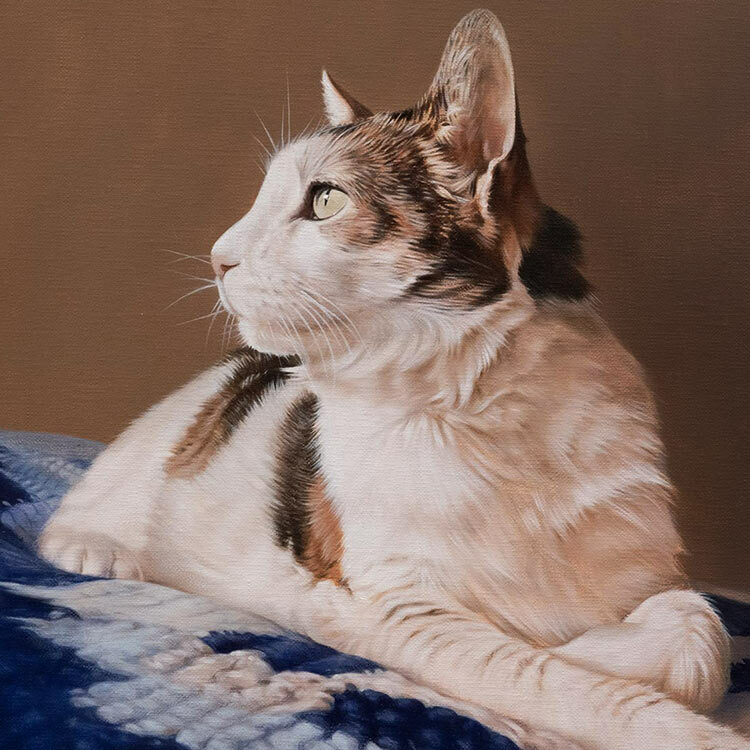 Stephen Bishop is a UK artist and he has two websites - Artbystephenbishop.com and Petportraitsbystephenbishop.com and creates pet portraits in oils and pastels. His full body portraits with full backgrounds are well worth checking out! 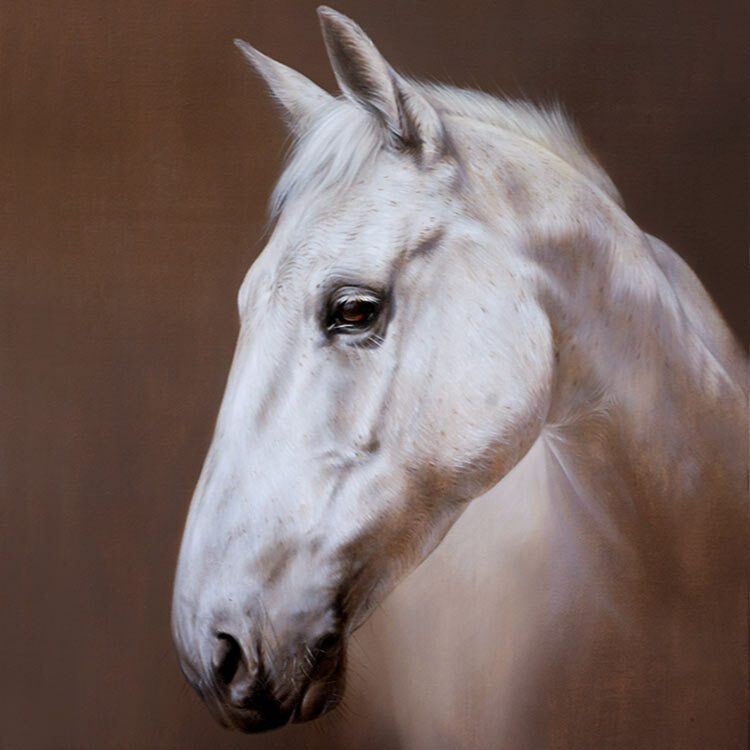 We have known Eric Stewart for many years, although have never met as he is based in the US, we often catch up via email and have discussions on website design, artwork and the general pet portraits business. Check out Eric's website Ericstewartportraits.com and also look him up on facebook too. Pet Portrait Artist Catherine Garneau at Wildatartpaintings.com has the most beautiful website and provides pet portraits in oil, pencils and coloured pencil. She has been featured in magazines and is at the top of her game! Definitely give her website a peruse and checkout her facebook page! Although not specifically a pet portraits website we have been connected to JW Bears for many years Jcwbears.co.uk as they produce soft toy dogs! They are quite amazing and definitely worth checking out, they haven't done a Tibetan terrier yet, maybe we should let them model their next one on our Tibetan Terrier Lily! Some of the rescue sites and websites about animals that we love are our final offering on our pet portraits friends page. Moggies.co.uk is a wonderful website about cats and cat rescue and Absolutelygolden.com is all about golden retrievers and has a section for rescues too and Naturefirstinc.webs.com is all about Parrot rescue. If you are looking for urns for your dearly departed pets then Evermypet.com and Familypeturnsandcaskets.com are an excellent choice. Finally for dog rescue 1st-greyhound-dog-care.com is all about greyhound dog care and rescue - a must! AND if your dog needs a coat our friends down in Guernsey make the most amazing dog coats ever - Trovercoats.com they are bespoke dog coats hand made and are adorable! Some of the most popular website about dogs that we have been associated with for a very long time and that is Great Dane Barri and Max Has The Facts, two wonderful sites about dogs and Sled Dog Central is well worth a visit. If you are a pet portrait artists, you live local to us, we have met, chatted via email or are connected on social media and you think you should be on my pet portraits friends page, drop me a line, I would of course love to chat to you and catch up! If you would like to use any of our banners or link to our websites to share our pages and sites, you are more than welcome! If you would like to visit our gallery pages for our pet portraits head on over to our pet portraits oil page or our pencil pet portraits page.